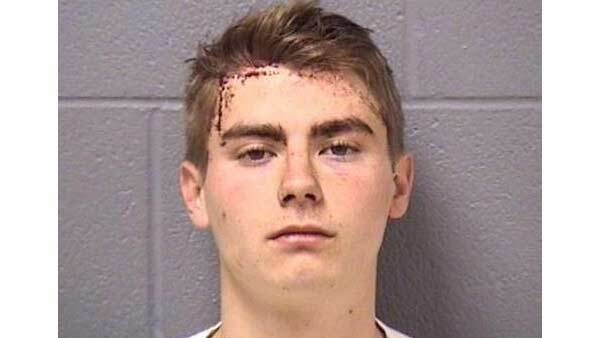 ROMEOVILLE, Ill. (WLS) -- Police say a homeowner was able to subdue a man who broke into a southwest suburban Romeoville home early Sunday. Police say when they arrived at the home in the 100 block of Yarrow Court around 4:30 a.m., the homeowner had the suspected burglar, Joshua Zeibarth, 19, restrained. Police say Zeibarth was taken to Bolingbrook Hospital and treated for minor injuries he sustained from the homeowner, who hit him with a "novelty item." The Chicago Tribune reports the homeowner, who was sleeping in the home, along with his wife and child, when the burglar broke in through an unlocked attached garage door, had hit the intruder with a souvenir bowling pin. Zeibarth, of Romeoville, was charged with residential burglary and home invasion with a dangerous weapon. Police say he was carrying a knife. He is being held on a $1 million bond in the Will County Jail.